In an environment with a significant competitive intensity, it would be suicide not paying sufficient attention to the second of the 4Ps. Although pricing policy has always been a key element to the heart of any business strategy, it is seen as increasingly controlled by consumers who develop an active role in defining the price of products or services. The main reason? The growing development of online commerce. The democratization of the internet as a sales platform upsets pricing policies. As the practice of buying on the internet has started to become commonplace, new factors must be taken into account. This means, that the approach to “e-shopping ” has become different because the parameters of the purchase process are changed. The possibility to buy at any time, day or night, while saving time that you would otherwise lose by physically going to make a purchase, is a considerable advantage that is becoming increasingly appreciated. The slate isn’t blank— it’s full of information allowing prospective customers to find answers to all their questions, as well as offer the possibility to immediately compare different products in just a few clicks. The quantity of choices is immensely greater which modifies the intensity of competition by giving more weight to clients. The partial or total removal of intermediaries between the seller and the buyer reduces screening and also enables cost reduction. The partial or total removal of intermediaries between the seller and the buyer reduces the screen effect and enables cost reduction. However, new obstacles to the purchase have emerged (compatibility of web browsers, authorized payment by credit card, fear of digital purchase, etc.) making it necessary for additional services. Kambil and Van Heck (2002) identified two types of buyers: the “Bargain Hunters” and the “Gamblers”. The first will always seek the cheapest option by skipping over delivery times or other aspects. On the other hand, Gamblers are looking for the thrill of the auction (on eBay, for example), despite the curse of gaining an extra cost, as from time to time they end up paying more than the norm. The changes that have occurred have also created new pricing strategies— called “dynamic”— as opposed to their counterpart “fixed” strategies. Dynamic pricing strategies promote interactivity and flexibility. Changing the product prices is done in a few clicks without incurring costs. Online auctions (up or down) appropriately demonstrate that prices are malleable. Segmentation by consumer based on previous purchases, its geographical area or frequency of purchases, so the seller knows when to offer the right product at the right time. The information that e-retailers now have allows them to establish a flexible pricing strategy. offering the right product at the right time and the right price. The information that e-retailers now hold allow them to implement a flexible and well-adapted pricing strategy. Already used in conventional pricing policies, the psychology of price is an even more effective leverage when used on the internet. The use of a product “anchor” makes it possible to compare two products with different prices. This technique allows customers to relativize a price and create a vision of the value of a product compared to another. Thus, selling a watch for € 2000 is easier when placed beside another worth € 10,000 because it seems more affordable. This psychological technique is easy to use on the internet because comparing and linking one product to other products is simple and diversified. Weber’s law is a principle that shows that the more a product price is raised above the original price, the more easily it will be either accepted or simply ignored. According to Weber a change of 10% is rarely noticed. E-commerce benefits enormously from this practice because the price change is done simply and quickly. Automatic modification, through tracing of IP addresses is standard practice on the Internet and most commonly used in transportation companies. The automatic changes made have generally no negative impact because if a prospect returns several times to see the same product / service, it implies that it is highly interested in the product or service, and therefore, less concerned about the price. The stronger the involvement of a prospect, the less important the price barrier will be. Finally, the comparison of one price to another can be dangerous if the latter is not justified either by context or by its specifications. According to Richard Thaler, the context allows for understanding a customer’s acceptance to pay four or five times for a soda in a particular place or at a particular time. It is the same for products with many characteristics consistent with their high prices. On a medium where comparisons can be made as fast as easily, it must present reasons of comparison without which a prospect can lose confidence in their e-shopping because he is afraid of being manipulated if everything is not explained. It is important to define a pricing strategy and become relevant in its sector, not to mention one aspect: competition. When an e-retailer chooses a price to position based on an affordable or luxury image, it is, indeed, compared to others. If an apple is sold at € 10 on Mr. Dupont’s site, but on all other sites apples are sold € 15, it is observed that Mr. Dupont sells apples cheaply, although they are priced considerably high at 10 € each. Rates are relative, as well as strategies. 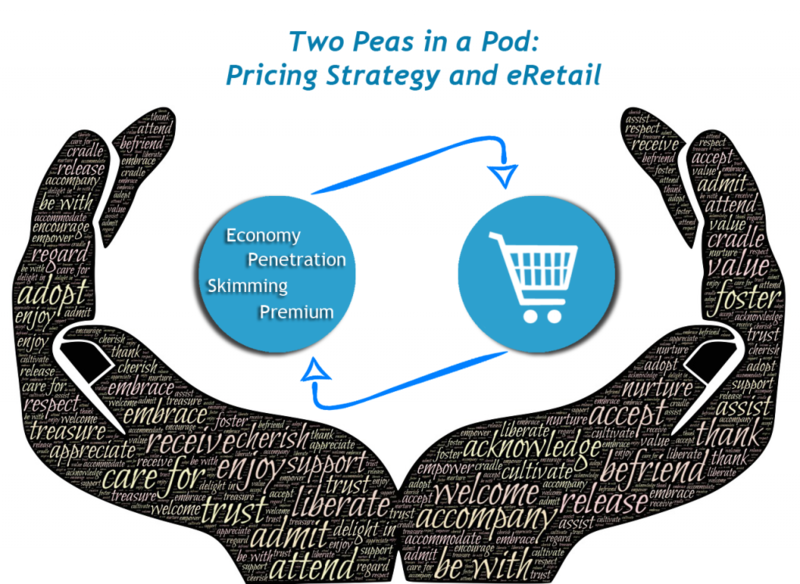 Prices are relative, and so are pricing strategies. How do you know if your strategy is consistent with the image that you want to give? The answer is permanent competitor monitoring, and more precisely, a permanent monitoring of pricing policy. Why use the term “permanent”? As seen above, the Internet offers quick price changes, purchases at any time of the day, so much change that in one day to the next, the foreseen prices monitored can be completely obsolete. Therefore, having a powerful pricing intelligence solution allows you to have a real-time view of prices and market developments made by the competition. Of course, making the right decision at the right time becomes more clear and logical when one has all the necessary information. This entry was posted in E-commerce on July 30, 2015 by admin. ← Brands: What Questions are you Asking about your Resellers?